Trip report from Svalbard in Norway! I came to Tromsø at night and the hotel is only about 10 minutes from the airport by taxi and it was about 135 kroner (about 23 US dollars at the moment). There is also a bus service but it is not the frequent. We had room 453 located on the 4th floor and it was a pretty big room and it cost 1170 kroner per night (200 US dollars) for two including taxes and breakfast. The entire room had a rust red carpet, 2 windows but not with much of a of a view as we looked over to another section of the hotel. 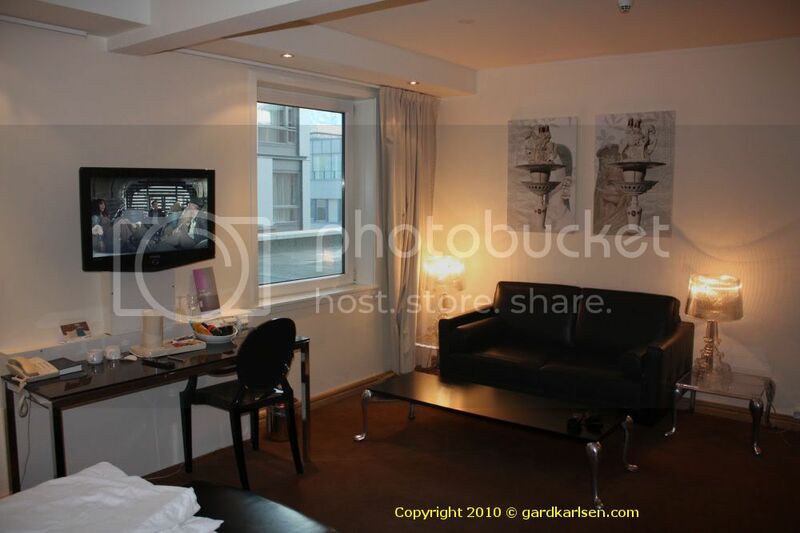 The room had a two seat black leather sofa and a similar style chair and a low table. There was also a low table, a desk with a chair and a flat screen TV mounted on the wall. The TV was facing the leather chair and it was not possible to twist the TV towards the bed – I think this would have been a great feature. When lying in bed it was hard to see the TV image and it was also hard to use the remote control to change channels (maybe due to the angle?). There was also a wardrobe with regular hangers which I think is nice, a small safe where you put in your own pin code and a small mini bar. I think a soft drink like Coke was about 42 kroner (about 7 US Dollar). In the hall leading into the room there was a small ironing board and one of those cheap, horrible irons. The room was equipped with some pretty funky and modern lamps but it was hard to control the lightning individually as there was one main switch that killed all the light. 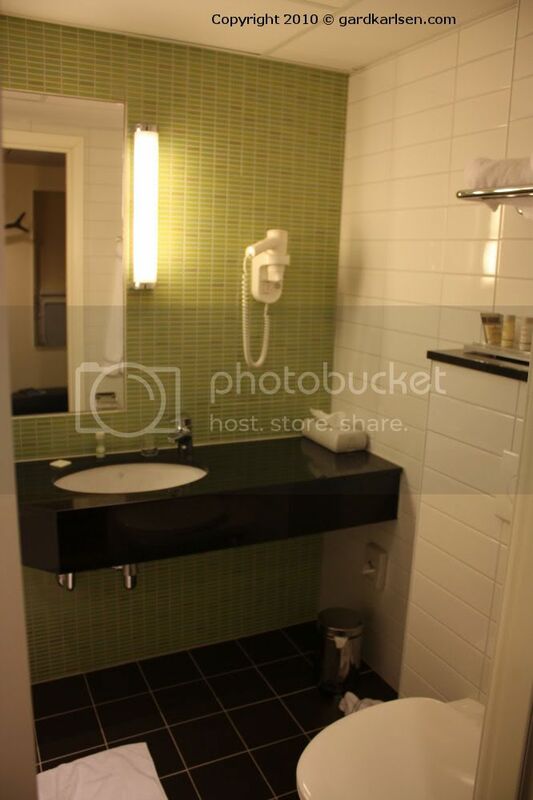 The bathroom was tiled in white and green tiles on the walls and black tiles on the floor. 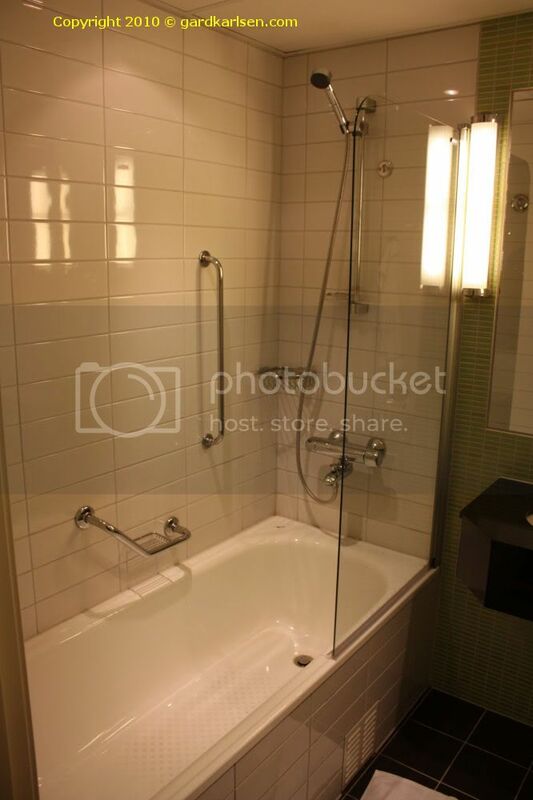 There were some amenities – the usual shower and shampoo and a lotion and the bathtub had a shower option with a glass panel to avoid water from splashing everywhere. I still think the bathtubs should be removed from hotel rooms as I never use it but maybe I’m different from your average hotel guest. One major flaw in the bathroom was the fact that there was no heating in the floor! At least it didn’t feel like it when we were there and hence the bathroom was quite cold and when we took a shower the water would run down from the cold walls. To compensate the ventilation suction was so strong that it felt like there was a constant breeze when we were in the shower. 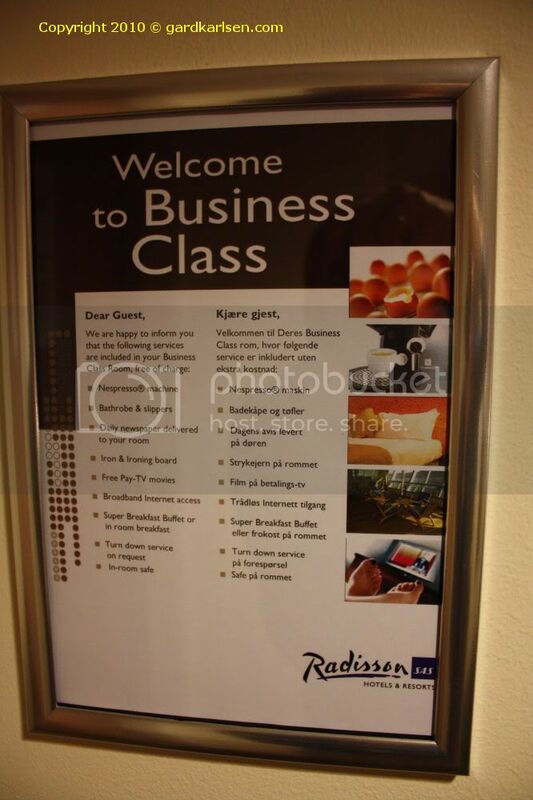 When entering the room there was a sign saying “Welcome to your business class room” and there was a list of items that should be included. The problem was that several of the items were not there. It would have been great to have slippers and a bathrobe as it was quite cold in Tromsø when we were there and the heating barely seemed to keep up with the cold outside the windows. There should also have been a Nespresso coffee machine but the only thing that was left in the cupboard were some Nespresso capsules. When I mentioned this to the reception I got a water boiler instead which was nice of course but not the same as a Nespresso machine. A morning paper should also be included in the business room and we got it on a Friday but not on the following day. Pay TV was also included in this but the TV signal was pretty bad a times and when watching movies on the pay TV a piece of another film would keep on popping up in the film we were watching. Radisson Blu has a 100% guest satisfaction which I think is just a PR stunt. I’m not 100% satisfied with our stay and guess I should have complained about more of the issues that I have mentioned above. But I think when they have listed what a room should contain it should not be up to the guest to point out all the things that are missing. And before I stop complaining: the iron is really lousy. 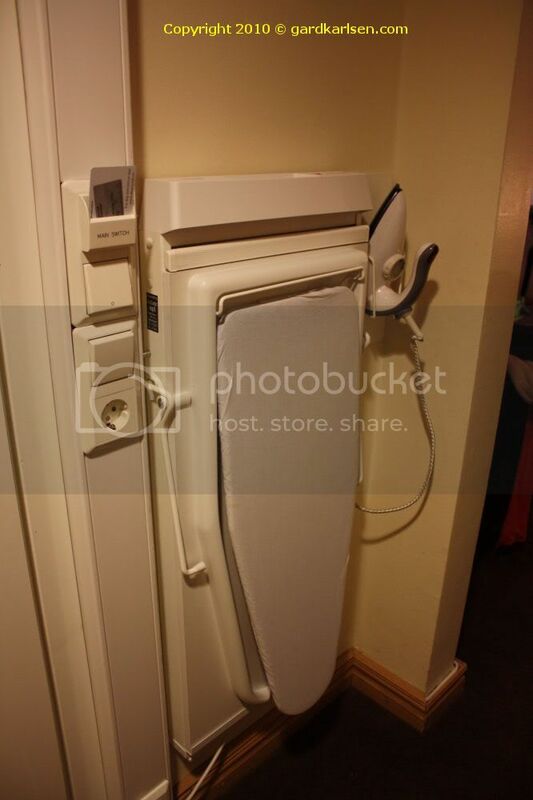 I do understand that you have to keep the ironing board small but there should have been a proper steam iron. I assume that a lot of the people that get this room are people that are there on business and that would like to iron a shirt before going to a meeting. Getting a shirt to look nice with that iron would take no less than a miracle. But let us focus on some of the things that were good. The location of the hotel is very good. 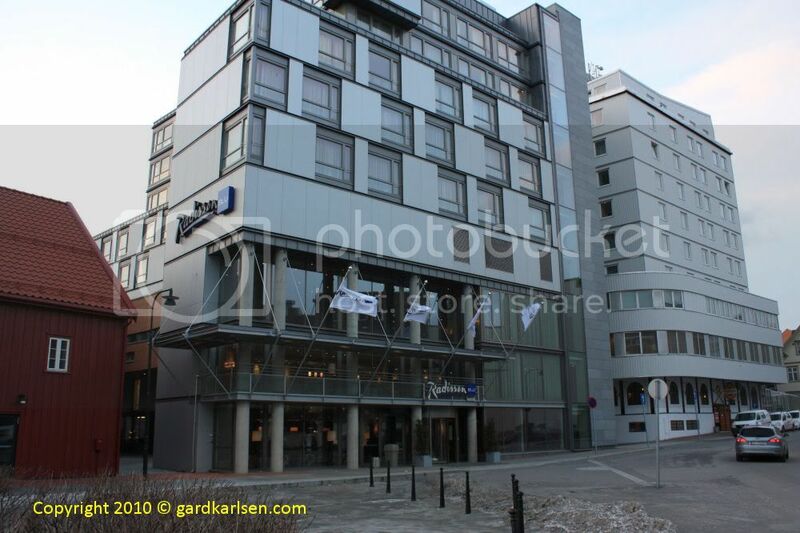 Located right on the harbor it is within minutes from most of the attractions in Tromsø. The breakfast was very good and included scrambled eggs, bacon, sautéed mushrooms and you could also order eggs in various ways. Apart from that there was a nice selection of fruit, cereal, bread and pastry etc. And I cannot remember seeing tran at a hotel breakfast before – that is oil of cod liver that we Norwegian normally take with breakfast in the wintertime There is free wifi in the rooms and I think this is a great feature. But I did have some problems getting my iPhone online on the wifi. All in all this is not a bad hotel at all and it clearly deserved a 4 rating in my opinion even if I was tempted to rate it three as some of the expectations were not met. I have complained to Radisson Blu before on issues and I have yet to get a proper answer in line with their 100% guest satisfaction. 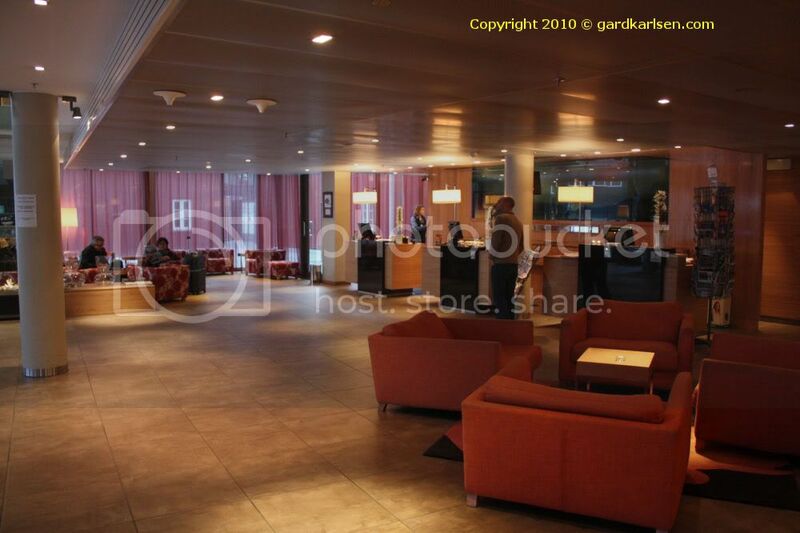 If you are looking for a hotel in Tromsø, Radisson Blu is not a bad option at all. © 2019 - Gard’s travel blog.